Have you taken out a calculator yet to plan your retirement funds in meticulous detail? Robust retirement planning is one that takes every important aspect related to the future into account. What follows next are some common mistakes that most people tend to make while planning retirement in India. Not Starting Early – You miss out on the benefits of compounding if you fail to start saving early for your retirement years. 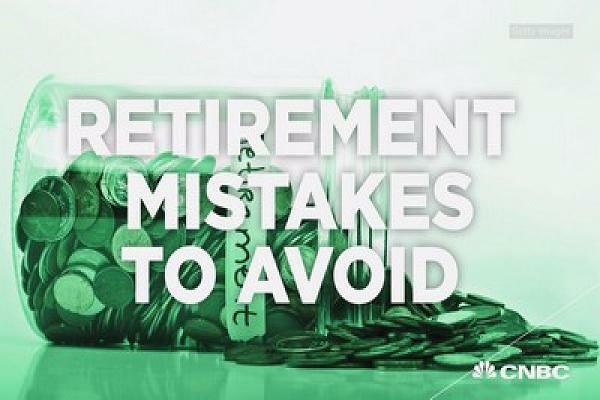 The more you save over a longer period of your active work life, the more you will have to take care of your retirement needs. Never ignore the inevitable. You will enter your sunset years one day and for this very reason, it is important that you start building a retirement corpus right away, if you haven’t already. Consider General Price Rise – Inflation or a general rise in prices is one future uncertainty that can have an impact on your retirement fund. The period between 2012 and 2017 did see an average of 7.20% inflation in India, as per data available on Trading Economics, inflation did reach double-digit figures in November 2013, when it was 12.7%, an all-time high in the 5-year period mentioned above. Arrive at an intelligent forecast, based on available inflation data to know what the average inflation rate will be when you retire and adjust the retirement budget accordingly. Stop Living in the Now – Many people commit the mistake of living in the now, i.e., only concerned about their present financial health. One good way of looking forward is by saving more and knowing which needs can be earmarked as discretionary expenditure and avoided. Ignoring Health Insurance – Incurring out-of-pocket expenses to meet your future hospitalization or healthcare needs will end up eating up a major chunk of your savings, kept for your retirement days. Take a good health insurance plan to mitigate this risk. Not Realizing the Worth of a Provident Fund – The tax-free nature of provident funds make it an ideal retirement planning instrument in India. A lot of people don’t realize this and end up making premature withdrawals from this fund to meet their present day needs. Rising Cost of Child Education – If you are a parent, any expenses you incur now or in the future will result in less savings and have a direct bearing on your retirement corpus. Consider taking up a good child education plan that addresses the future financial needs related to your child’s education. Lack of a Diversified Investment Portfolio – A common mistake that people tend to make pertains to investment in only one financial instrument alone, for example, a mutual fund. It is advisable to diversify your investment portfolio and also consider instruments that are not directly linked to the market. Always remember that careful planning will be your saving grace when you have retired and your regular flow of income has stopped. Keep the aforementioned tips in mind to have a safe and sound retired life, without any worry.